The Redmi Note 5 is powered by a Snapdragon 625 chipset. The device comes in two different RAM variants, one is 3GB and the other is 4GB. Redmi Note 5 comes in 32GB and 64 GB storage variant. On the imaging from the Redmi Note 5 uses a 12 MP rear camera and a 5MP selfie camera. The smartphone also has a fingerprint scanner for privacy. The Redmi Note 5 is powered by a massive 4,000 mAh battery. The device runs on MIUI 9 based on Android N.
The Redmi Note 5 Pro is powered by Snapdragon 636 chipset. The smartphone comes in three different RAM variants including 3GB, 4GB and 6GB. Along with this the Redmi Note 5 Pro comes in 32GB and 64GB internal memory. This combination of RAM and ROM should make the device performance lag free and also help in multitasking. 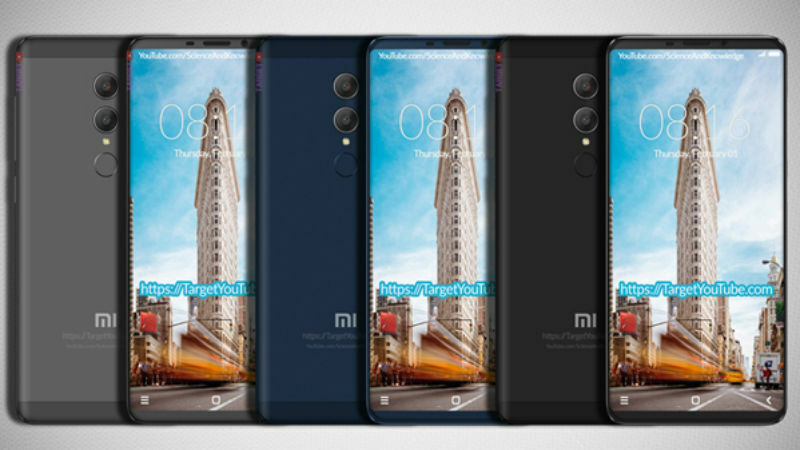 The Xiaomi Redmi Note 5 price in India will be officially announced at the launch event, but a leak has pegged the starting price at CNY 1,499 (roughly Rs. 15,400). As for the availability, we can expect the handset to become available for purchase next week via the flash sale model from both Mi.com and Flipkart. 0 Response to "Redmi Note 5 India Launch Date Is February 14, 12PM IST | Dual Cam Conformed | #Giveme5"